I love the smell of Christmas wreaths and Christmas trees, don't you? My favorite part of hanging a wreath on our apartment door each year is getting a whiff of the evergreens every time I enter and exit. I think it makes me take a deep breath and smile each time. My least favorite part of hanging a Christmas wreath on our apartment door each year is sweeping up the needles as they inevitably sprinkle to the ground with each entrance and exit. Last year I bought this wreath in hopes of it lasting longer, but alas, although the wreath was beautiful and quite full, the piles of needles on the floor were no fewer than usual. This year I was quite pleased to find a $7 wreath at Trader Joe's, and couldn't wait to hang it on our door. As expected, the needles began dropping immediately, but this year I was ready with a tip I learned last weekend from a woman at a gardening center... Just soak it. It makes so much sense -- we add water to the base holding Christmas trees, so why wouldn't we also water our wreaths? As the woman at the gardening center explained to me, wreaths hung on outside doors need no watering -- thanks to the cold air, they will last "forever," as she put it. But wreaths hung inside dry out far more quickly from the heat. 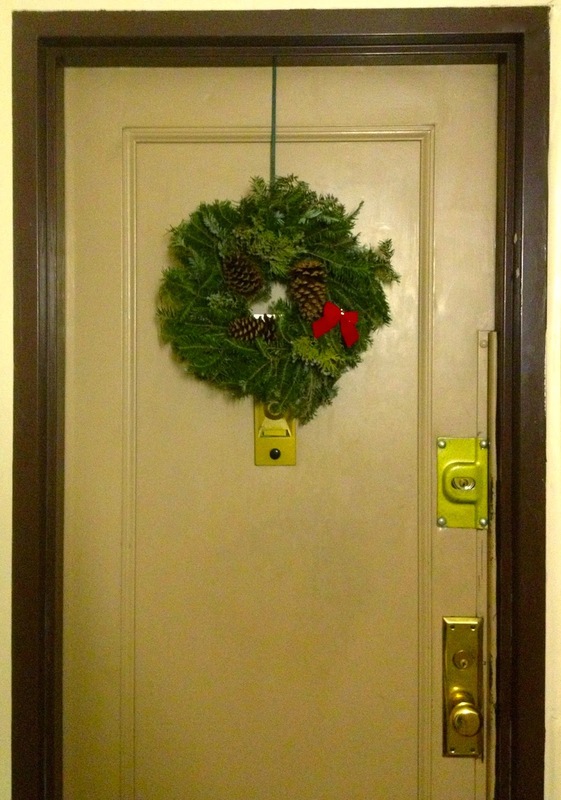 Having grown up with wreaths only on the outside of our house, I never knew this tip for apartment dwellers who often hang their wreaths in hallways pumped full of heat. I was instructed to soak the wreath in a sink or bathtub for fifteen minutes every three days or so. I've soaked it twice now, and I have found that if the bow or other decorations on the wreath are attached using a tree ornament hook (or an open paper clip) it's easy to take them off if one doesn't want them to get wet. I have also found that a paper towel under the wet wreath is a good idea to absorb the excess water that drips off. I hope this trick works and keeps that great evergreen scent strong... So far, it seems to be working. Long live the wonderful Christmas wreath fragrance! Here's hoping your travels are easy (and not snowed in!) and your thanksgiving table is full of favorite treats. Happy thanksgiving! Whenever I’m outside of New York City, I love to visit the big box stores, so Ikea and Target are stops I’m always excited to make if it works out. While we have access to these stores in New York, they are not terribly convenient to get to from most of Manhattan, and when I’ve taken the trip, the shelves are far more empty than those outside of NYC I’ve visited. In addition to the easy of location and better product choices, the sales tax is nearly always less than our 8.875%, making it a much better experience all around than we tend to get in NYC. 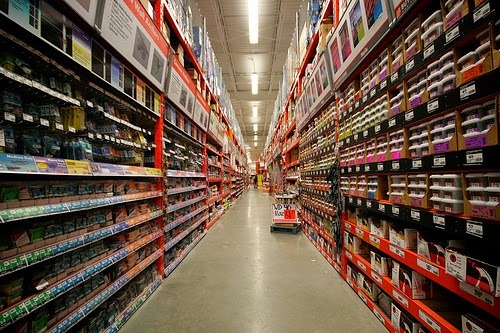 I see these stores as very useful for certain things – either for finding furniture that fits a particular space for the time being and will be upgraded later, or for finding small and useful household items, particularly those for the bathroom. When I moved to NYC, Target and Ikea were both good places to find small furniture that fit my needs. Other than a couple items, the furniture my family offered me was mostly too big for the small or awkward spaces I needed to fit. Luckily, both stores sell tables and such that are sized in a way that they work well in small and often oddly laid out apartments. Knowing that I would not live with roommates forever, the other benefit was that I could purchase this “disposable” furniture and plan to swap it out down the road for higher quality long-term options. Besides the physical constraints, 22 year olds don't always know how to take care of furniture that's been passed down -- as responsible as I may have been, I'm not certain my roommates and I would have been careful enough. For instance, my father may not have wanted me to have the cherry wood dining table when I was younger, but now that I have a better place for it, the table is one of my most-loved pieces of furniture and I feel confident that I can take good care of it. Several years ago, however, Ikea was a better fit to fill the role of the only table we had room for, as well as a microwave stand. I'm glad I got to upgrade, but I'm also glad I didn't have to worry about the cherry table when i first lived in the city. When it comes to what I like to find at these stores now, it varies a little. I usually keep a running list on my phone of items I don’t need this minute but are good items to look for at one of these stores. It gives me the chance to check out prices, and unlike purchasing online, I can see if they look cheap in person, or if they will do for my needs. Sometimes this list includes things like a pajama set or socks, but for the most part, I let my big box purchases stick to the useful things around the house I’m just looking for a good price on. Often, these are still things I expect to swap out later for better quality, but sometimes they are things I love as is. Happy Thanksgiving week! The weather doesn't seem to be sure of which season it wants to portray, but Thanksgiving is just days away, and I'm very happy about it. Thanksgiving is my favorite holiday. I love that there is no pressure to do anything but spend some time with family. 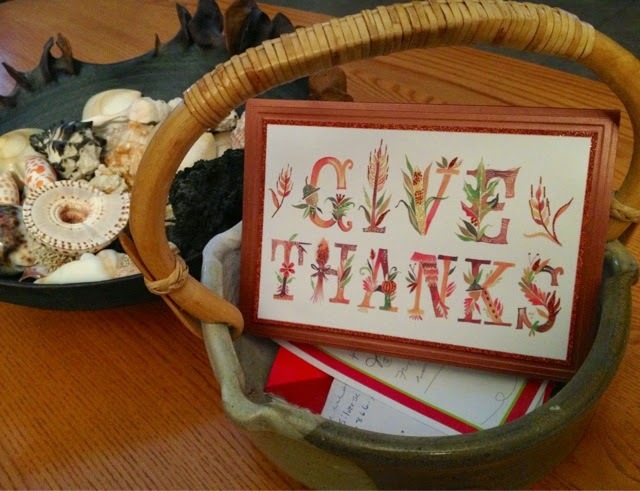 There are no gifts to purchase, no services to attend, and no fear of offending anyone by wishing them a Happy Thanksgiving -- no matter anyone's religion or heritage, every American celebrates Thanksgiving, and I love that because everyone celebrates the holiday it has a way of uniting us all. The leaves have turned bright colors, and it's wonderful that there is comforting food like turkey, stuffing and cranberries on the table. I've had a wide range of types of Thanksgivings ranging from the traditional big family event at home, to the New York City hot dog while watching the parade, but the very best Thanksgiving I've enjoyed was the year in Paris. My mother and I were visiting my brother who was living there, and because I love Thanksgiving so much, I insisted on finding a restaurant that would serve the traditional American fare that day, turkey and all. Honestly, my mother and brother would have been fine with French food every day of our stay, but they obliged and found an American restaurant that was serving a traditional American Thanksgiving dinner for me -- they knew I would have been disappointed with anything else. Considering my fixation with finding stuffing and cranberries, it's ironic that I don't remember a bite of the food from that day -- what I remember instead is walking through the front door and finding nearly every American in Paris stuffed into that restaurant. In the way that only traveling abroad creates, every American in those rooms became best of friends on that day. Never have I felt such camaraderie and innocent American pride -- had there been any among us, I'm certain that even the ex-pats would have enjoyed the celebration that day. Whether it's Paris or a parent's that will host the celebration of Thanksgiving this year for each of us, since this is the biggest travel week of the year, travel is almost a certain part of the plan. If flying is part of the travel, checked bags (and even some carry-on bags) are likely to carry the additional charges we've started to become accustomed to over the last few years. I don't like traveling with more than a purse and a carry-on mainly because I've had my luggage lost before, but in the last few years, I've discovered just how handy my fear of lost bags can be for avoiding most additional fees. Over the years, I've gotten pretty good at carrying-on everything I need, and the biggest trick I've learned is the importance of the bag that gets packed. I swear by my four wheeled, 62 liner inches, Samsonite model. An amazingly practical friend gave me this suitcase as a wedding shower gift, and it may be the most useful gift I received. When she gave it to me, she explained that she chose a model with four wheels to make traveling with it easy, and just as importantly, she chose the size that fits international standards for carry-ons. Prior to her explanation, I had not realized that domestic and international travel often allow for different size cary-on bags, with domestic carry-ons usually allowed to be slightly larger. Something I've noticed in the last year, however, is domestic flights insisting on the smaller size bags which have been traditionally reserved for international travel. A couple trips ago, I heard an announcement at the gate that told passengers the flight was very full, so carry-on bags would be restricted to those that fit in one of those size-checking boxes all airports have. Interestingly, while these boxes show two sizes, this particular domestic flight insisted that every bag fit in the smaller of the two size boxes. My bag was fine, and I silently thanked my friend's great practicality as I watched other bags ticketed to be checked from the gate. Since it seems that we're trending toward more and more travel restrictions, I assume this type of bag size requirement will become more common on domestic flights, but even if it's not, finding space in the overhead compartments on a crowded flight certainly is easier with a slightly smaller bag. I live in tights from October through April. I have lightweight ones I pull out first and return to storage last, as well as nice, thick woven pairs of stockings, which get pulled out with the serious winter wear. 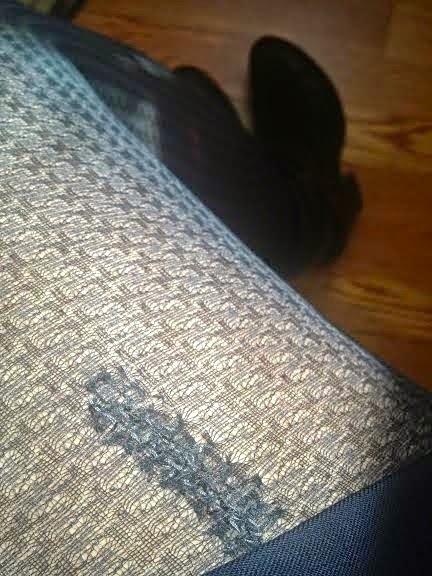 I usually buy cheap tights, but I do love a pair of pretty woven tights mixed into the options. Unfortunately, it's funny how those generally more expensive woven pairs often don't last as long as the cheap ones. Still, it is still nice to have a choice of texture to mix up the choices a bit. As I pulled out my down coat, hats and other serious winter clothing recently, I noticed I had runs in a few of these woven pairs of tights. I'm not sure if I knew and ignored the runs at the end of the last cold season, or if I missed them as I put them away for the summer, but either way I like them too much to just throw them out. I've read that people used to darn socks over old lightbulbs, but when I fix a pair of tights, I find it so much easier to do while wearing them. The main advantage is that by wearing the tights, one can tell exactly how much stretch the tights need and if the color of the tights are lighter when worn, due to this stretch. Of course, the obvious drawback is the needle hitting skin, but I've found it's actually pretty easy to get the hang of weaving a needle in and out while limiting the number of times I stab myself. I used a darker thread here because I wasn't too concerned about the spot showing in its well-above-the-knee location (and it was the best match I had in my emergency kit) but if I were concerned, wearing them would allow me to match the thread better than not wearing them. With this stretch in place, one knows if the thread is too light or too dark -- not something that is evident when the tights are not being worn. Also, thanks to the stretch, it's easier to tell how much slack each bit of weaving through the fabric will require so as to not add additional strain on other parts around the hole. As for the method I use, it's actually the same as the one used for sweaters -- after all, whether it's fixing sweaters or tights, the woven fabric still requires a nice -- darn -- weave.